In the book I use for a biliteracy bible, Learning to Read and Write in the Multilingual Family, one of the main points the author makes is you need to match the heritage language materials with your child's likes and the social aspects of his or her majority language. Beetles are huge in Japan, not just because they are everywhere, which they are, but also because at this time of year they are celebrated. I mean, everyone I know back home in Canada caught frogs when we were young and kept them in jars or Red Rose china teacups until our moms found out and we set them free. But they didn't sell them in drugstores! They sell whole kits here for your beetle, including the beetle if you live in a city and can't get your own. The entrance to my drugstore has competing space between toilet paper and food gels for these little guys. 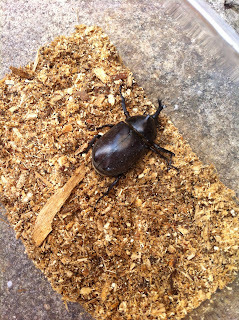 I was able to avoid this pet for the last five years, except for an unfortunate weekend when we were the designated babysitter for the daycare beetle. It promptly escaped and we were never asked again. But a couple of weeks ago when there was a short respite from the rain we went to tend to the family grave (complete with machete for the summer weeds!). Spinky soon spotted a beetle climbing on a grave and captured it with his hands. He kept it in his pocket all the way home, despite all of us thinking it would soon escape. My mother-in-law bought him a kit (someday I will get her back for that!) and we had a new family member. Not only is it a beetle, but it is a beetle from a graveyard, so you can imagine how excited I am to have a zombie beetle in my house. Luckily I remembered this book from previous editions of Nonfiction Monday, so I was able to squeeze some English learning out of this unwelcome guest, and it definitely fulfills Dr. Wang's suggestions of interesting to my child and culturally relevant. So much information is crammed into this book. There are vibrant paper collage images of beetles, and even a non-beetle lover like myself can be surprised at the diverseness of the beetle family. There are even some nice-looking beetles (including the ladybug!). 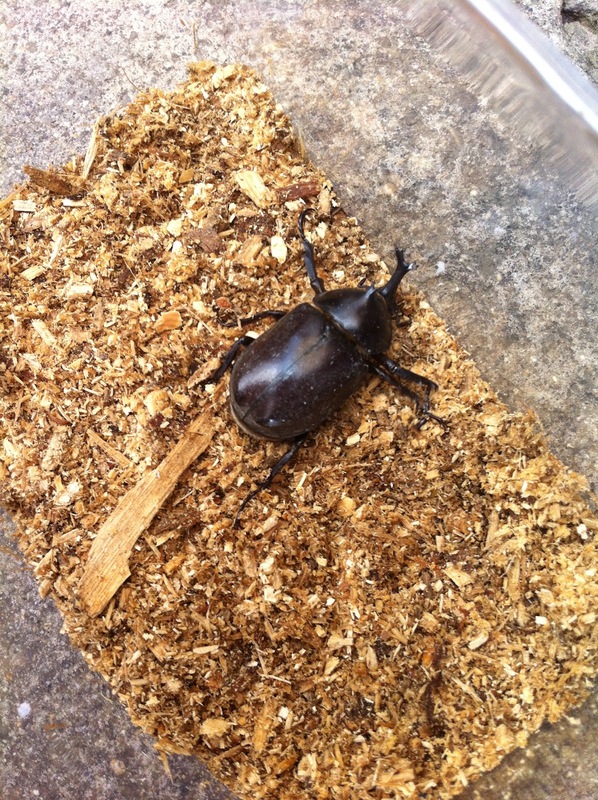 One-quarter of the earth's living things is a beetle. I guess I should get much more used to them. Though this book seems clearly geared towards kids, I have several of the more scientific fare. Excellent photos and though written solely in Japanese, I can figure out its English equivalent by googling the Latin name. Ps. I once dressed up for Halloween by wearing four different beetles upon my person. I was of course, The Beatles! Thanks for sharing a glimpse of your life in Japan. So interesting! It will make me look at beetles in a whole new light. Did you know that ladybugs hibernate? I often find them on the beach in the winter, under driftwood and sand. I am in love with that cover. Steve Jenkins...I think I heard about him from Robyn...I'll be on the look out now for sure. Good luck with the beetle. It's really cool lookin' in a creepy crawly way. The Beetle Book is awesome! 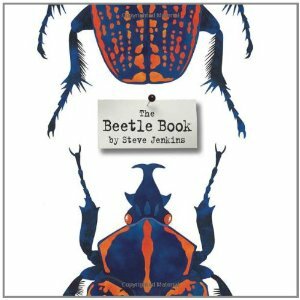 Steve is such an artist, and he really captures the beauty of beetles. They are such a diverse group of insects... I just came in from watching one nosh on a Queen Anne's lace flower.